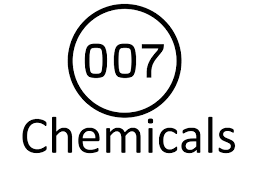 007 Chemicals is a supplier of research chemicals, also known as chemical building blocks. 007Chemicals is focusing on delivering research quantities for its customers through an online platform. In addition, they provide customers the possibility to buy the same chemicals in bulk quantities on request. 007 Chemicals propose a great catalogue with a broad variety of products, including chemicals building block like piperidine, pyridine, pyrrolidine, thiazole, imidazole, indole, and tetrazole derivatives. The products include heterocyclic structures such as N-heterocycles, S-heterocycles, byciclic heterocycles, non-heterocycles, and others. 007Chemicals’ business strategy is driven by the quality of their products, quick delivery, customer service, easy ordering and competitive pricing strategies. Indeed, their main focuses are customer service and fast delivery. 007 Chemicals aims to deliver all in-stock products within 5 days or faster. Optimizing its supply chain management results in faster turnaround times and increased delivery services for its clients. The Headquarters of 007 Chemicals is based in Europe, The Netherlands. This country offers great opportunities through its central location. This location also offers a well established network and nearby access to different harbors. Furthermore the central location enables 007Chemicals to offer a excellent delivery service. Through its optimized supply chain management, 007Chemicals offers a fast delivery worldwide. 007Chemicals also propose custom synthesis services. High quality molecules from milligrams to multi-kilograms all of which come complete with a full certificate of analysis (HPLC, MS, NMR, FTIR). This entry was posted in Biotech Companies, Biotech Companies Netherlands, Biotech company of the Day and tagged 007 Chemicals, 007Chemicals, chemical building blocks, custom chemical synthesis, custom synthesis, research chemicals by Biotech365. Bookmark the permalink.